shopnewbalance.com: Schedule your pedicure. 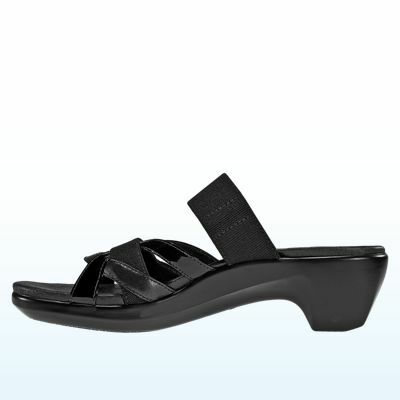 The new Aravon sandals have arrived! Schedule your pedicure. The new Aravon sandals have arrived! 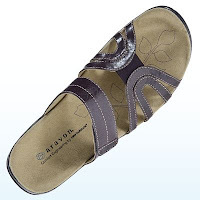 Spring is officially here and that means the new Aravon sandals have arrived. From casual to dressy, New Balance’s Aravon collection has a style for any occasion. What makes this season different? New Balance has expanded Aravon’s Stridarc Collection to include the Stridarc Strata, an attractive split sole that, like the other styles in the Stridarc Collection, smoothly propels the foot forward, from heel to toe. The spring line also features new arrivals in the Aravon Power Comfort Collection. With a full ground contact outsole this line offers firm rearfoot motion control, midfoot support and stability in an attractive package. ﻿﻿Whether you choose the Stridarc or the Power Comfort Collection, once you slip on a pair you’ll immediately notice the difference between an Aravon style and your run-of-the-mill dress shoe. All insoles in the Aravon sandal line feature a full-length comfort-enhancing Abzorb insole—the same technology found in many New Balance athletic styles. Browse the entire line today and greet spring in your new comfort sandal!